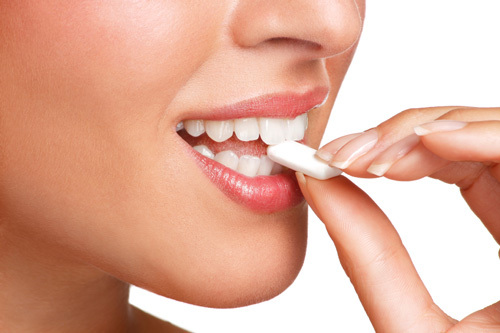 Flossing and brushing teeth are part of most people’s daily dental routine, but a new study suggests that chewing sugar-free gum could also have a big effect in preventing tooth decay. In fact, in a study from researchers at Plymouth University Peninsula Schools of Medicine and Dentistry, it is estimated that Britain’s public healthcare system could save over $10 million each year if 12-year-old children chewed sugar-free gum after all of their meals. Chewing gum can help break down food stuck in the mouth. As well, chewing gum helps increase saliva in the mouth, which helps wash away harmful acids that eat away at tooth enamel. Since sugar can contribute to tooth decay, sugar-free gum is often recommended for helping prevent cavities and other dental problems. According to the study, if 12-year-old children in Britain chewed one piece of sugar-free gum per day, the NHS – Britain’s national public health service – would save over $4 million each year. If the 12-year-old children chewed two pieces of gum each day, the NHS could save almost $5 million each year. If these children chewed a piece of sugar-free gum after each of their three meals, the savings rise to over $10 million. This would be the equivalent of over 300,000 less dental check-ups every year. “The findings of this study are hugely exciting as they reveal a new and easy way of helping people improve their oral health,” said Liz Kay, co-author of the study and professor at Plymouth University Peninsula Schools of Medicine and Dentistry. Kay noted that the study only reflects savings that would come from 12-year-old children chewing sugar-free gum. If more children and adults also chewed sugar-free gum, the savings would be even greater. “Clinical evidence has already proved that sugar-free gum can help prevent caries and now we can also see a clear financial advantage,” said Kay. Tooth decay is a major problem in both Britain and the U.S. In Britain, over one-third of 12-year-olds have significant tooth decay. In the U.S., the rates are even higher, with 42% of children between the ages of 2 to 11 having tooth decay. As well, 35% of children in Britain have been so embarrassed by the state of their teeth that they do not want to smile. Dental care experts recommend sugar-free gum as an additional technique for keeping teeth clean and healthy. However, it is not intended to be a replacement for regular dental care, such as brushing teeth or flossing. The researchers behind the study hope that by focusing on the possible savings, governments will make changes to help promote the use of sugar-free gum. These types of gum are now available from many major gum companies. Claxton, L., et al, “Oral health promotion: the economic benefits of sugarfree gum in the U.K.,” British Dental Journal, 2016; doi: 10.1038/sj.bdj.2016.94. “Dental Caries (Tooth Decay) in Children (Age 2 to 11),” National Institute of Dental and Cranofacial Research web site, http://www.nidcr.nih.gov/DataStatistics/FindDataByTopic/DentalCaries/DentalCariesChildren2to11.htm, last accessed February 13, 2016.